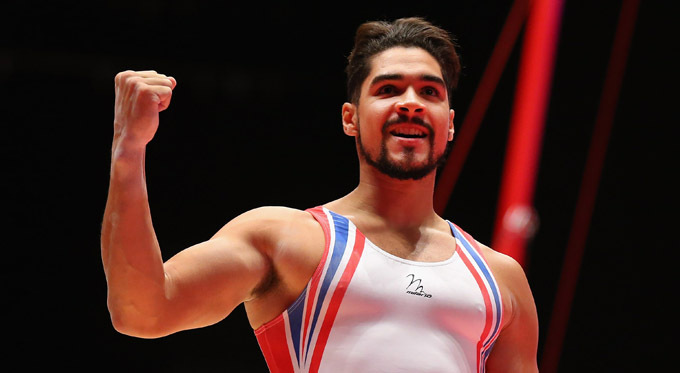 The only British gymnast to win medals at three consecutive Olympic Games, Louis Smith MBE is one of the country’s most recognisable athletes. At the age of seven, he began attending a gymnastics club and gave his absolute all to make it to the top of the sport. To make it in sports sacrifices are necessary and Louis has certainly made his fair share during his life. Giving up plenty of opportunities in his social life, he didn’t pursue his A-levels at school in order to dedicate his life in sport. Specialising in the pommel horse, as a junior competitor he became the European champion on two occasions in 2004 and 2006 but it was in 2008 at the Beijing Olympics where he really made a name for himself. Earning a bronze medal in the pommel horse final, Louis became the first individual British gymnast since 1908 to win a medal of any colour. As well as this he became the first British person in any event to medal in gymnastics since the Great Britain women’s team of 1928 won bronze in Amsterdam. Coming home from China on a high, his stock continued to rise earning silver medals at the European and World Championships in both individual and team events. The London 2012 Olympics live long in the memory as one of the world’s most iconic sporting events and Louis certainly made his mark on the games. Going one better than 2008, he won a silver medal on the pommel horse and could not have been any closer to achieving gold. Scoring exactly the same amount of points as his Hungarian counterpart Krisztian Berki, however, Berki just edged it based on execution scores. As well as his success as an individual athlete, Louis also made history as part of the men’s team. The team’s artistic all-around event saw them win a bronze medal making it the first Olympic medal won by a British gymnastics team for over 100 years. Following the success of the games, and his growing profile as a television personality (Louis appeared on and won Strictly Come Dancing in 2012) he announced his retirement from the sport in 2013 but his desire to compete saw him return to gymnastics in early 2014. Once again Louis won a silver medal at the 2016 Olympics in Rio de Janeiro with his British teammate Max Whitlock taking the gold medal in the pommel horse. Now, he continues to delight audiences from both the world of sport and entertainment. Continuing to compete at the highest level, he also regularly appears on a whole host of prime-time television programmes. To book Louis Smith MBE as an Olympic speaker simply get in touch with Champions Olympic Speakers by calling +44 1509 85 29 27 or complete our online form for more information.